Chelsea will reportedly face competition from rivals Tottenham Hotspur for the signing of Napoli defensive midfielder Amadou Diawara. Reports in Italy on Monday claimed that Chelsea were willing to spend up to €50m for the 19-year-old, but The Sun report that Spurs are also interested in the talented youngster and will rival their London neighbours. It’s a hefty figure for a player that moved to Naples for just £13m this past summer, as noted in the report, but evidently the two clubs have seen something that they like. 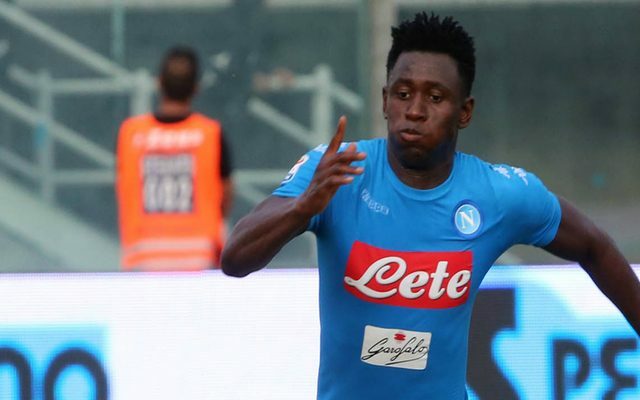 Diawara initially attracted interest with his displays for Bologna last season, with Maurizio Sarri winning the race to sign him in the last window although he hasn’t quite been a mainstay for Napoli so far this season. Nevertheless, that has seemingly done little to put off either Chelsea or Spurs who are in search of midfield reinforcements. From a Chelsea perspective, the move makes sense as Antonio Conte will potentially lose John Obi Mikel next summer when his contract runs out, while Cesc Fabregas has struggled for playing time under the Italian so far this season. Conte has seen his side move up the table and back into contention with a five-game winning streak, but he’s still keen to strengthen where possible. In contrast, it seems to make a little less sense from Spurs’ point of view, given that Mauricio Pochettino signed Moussa Sissoko and Victor Wanyama in the summer to bolster his midfield significantly. Nevertheless, the report claims that the Argentine tactician is still keen on Diawara having had a £34m bid rejected previously, and so it remains to be seen whether or not they are able to test Napoli’s resolve.